I. The director of the Hall of Fame shall be the holder of Board Seat 7: Recognitions / Historian. II. The Hall of Fame Director shall invite the CONECA membership to submit nominations for commemoration in the CONECA Hall of Fame in the Mar/Apr issue of Errorscope. III. 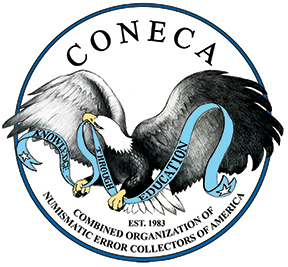 Only CONECA members in good standing are authorized to make nominations to the CONECA Hall of Fame. IV. Nominees must have a minimum of 10 years of membership in CONECA. 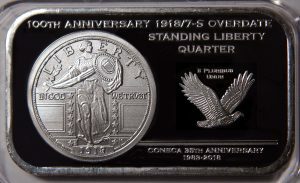 V. Nominations are further restricted to individuals whose accomplishments, dedicated service, or achievements are or have been directly connected to the field of numismatic errors and varieties. 1. Has been awarded the Dr. Lyndon King Award for outstanding member of the year. 2. Has received three (3) different types of CONECA Literary Awards or has had articles published in Errorscope for five (5) different years. 3. Has received either type of Cherrypickers’ award. 4. Has received a Kenny Knapp membership recruitment award. 5. Has served two terms as a CONECA officer or member of the Board of Directors. 6. Has served as an official CONECA appointee (Librarian, Auctioneer, Examiner, Attributer, etc.) for at least two (2) years. 1. Has taught a full term Error/Variety course for the ANA Summer Seminar. 2. Has presented a Numismatic Theatre seminar for the ANA on errors or varieties. 3. Has written and published an original research book or web site on errors or varieties. 4. Has served as a CONECA examiner or attributer for at least five (5) years. 5. 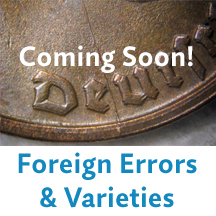 Has an extensive portfolio of published articles on errors or varieties in the numismatic press, but primarily in Errorscope. 6. Has won first place in the ANA exhibit class 17 for errors and varieties. VII. The Hall of Fame Director shall pare the list of nominees down to no more than three (3) candidates, using the criteria as outlined in section 6 to determine the most qualified candidates. VIII. Elections to the CONECA Hall of Fame shall be held in May of each year. The final ballot, containing the list of candidates and their supporting documentation shall be provided to the CONECA officers and Board by no later than May 15 at which time they will cast their vote. IX. No more than one (1) candidate per year shall be elected. The candidate receiving the highest number of votes shall be elected to the CONECA Hall of Fame. X. Each inductee shall have his name inscribed on the CONECA Hall of Fame plaque so that they may be recognized in a permanent fashion. A. Honorary Life membership with refund of life membership dues if applicable. B. Listing in the Hall of Fame membership as reported to the CONECA membership in the Sept/Oct Errorscope each year. C. Recognition each year at the annual CONECA awards banquet at Errorama. D. The presentation of an individual plaque or trophy indicating their induction into the CONECA Hall of Fame. XII. The Hall of Fame Director shall maintain a permanent record of all inductees and all items associated with their commemoration including a page on the CONECA web site with a detailed description of the inductee’s achievements. VI, A, 2: Literary Awards given to selected authors were replaced in 2007 with Literary Recognitions given to all authors. VI, B., 6: Exhibit Class 17 for errors and varieties has been discontinued. XI, D: The HOF award was revised by the Board of Directors on 7/30/2012 as being an “error coin” capped at a cost of $300 plus the cost of a trophy.